When I started running in the fall of 2011, I had no clue what I was doing. I found my groove after a few 5ks, increased mileage with Brad's help (he was up to 7-9 miles himself) and the new, shiny GPS watch he bought me for Christmas that year. Being able to look at my running data helped put things into perspective. How fast slow I was going, how far I was going and how sticking with it made me feel so accomplished. I'll be honest, I wasn't convinced that I liked running until I started signing us up for races. It was nice to have running "in common" with Brad but after several months I realized that Brad liked running... and I liked racing. 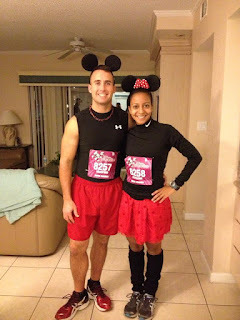 I was ready for more, so in 2012 I signed us up for The Disney Wine and Dine Half Marathon. For a first timer at a "big" race... the race was spectacular. Brad and I had all intentions of running the race together but around mile 4 he stopped at the porta-potty and we lost each other. We later found each other around mile 10... the relief and addrenaline that came across my body when I finally caught up to him was beyond this world. Needless to say, we crossed the finish line hand in hand. Although I couldn't walk for 2 days after that race, I was hooked. 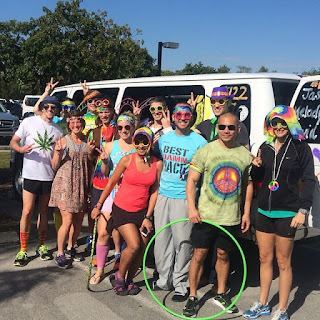 I had such a magical race experience that I immediately began thinking about our next race. 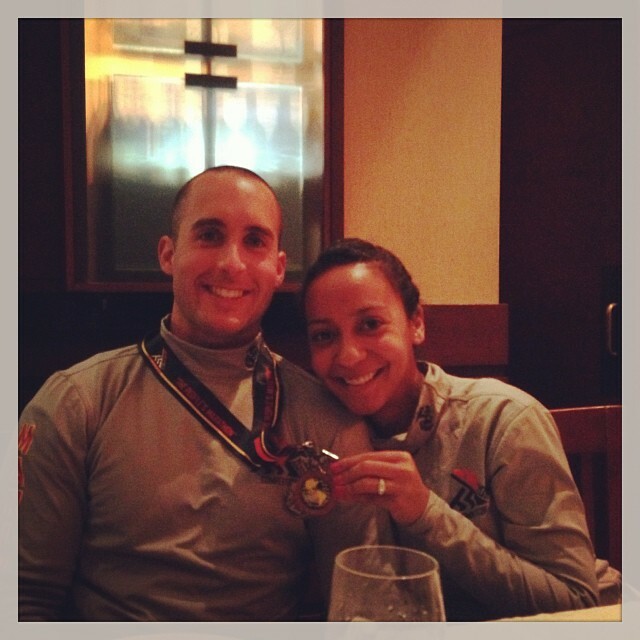 Brad went on to run another half marathon the following spring but I cut back to the 15k. It was my last semester in college and I didn't think I could handle the full class load, working and the training involved. Although I love the 15k distance, I completely regretted not doing another half that spring. He took 30 minutes off of our Disney race just 3 months earlier. I was incredibly jealous (okay, maybe we are a little competitive). As the good weather was coming to an end, I had no more race opportunities to sign up for another half. SO whats better than another half marathon? Signing up for your first full marathon! You read that right, I ran one half marathon before I signed up to run my first full marathon. It took a little while to convince Brad to do it with me. I think the only reason he finally agreed was because we could take a vacation to see a new place, see old friends who moved away from Tampa and eat all the food when we were done. In preparation for the Disney half, I found a very very generic training plan in a women's magazine. 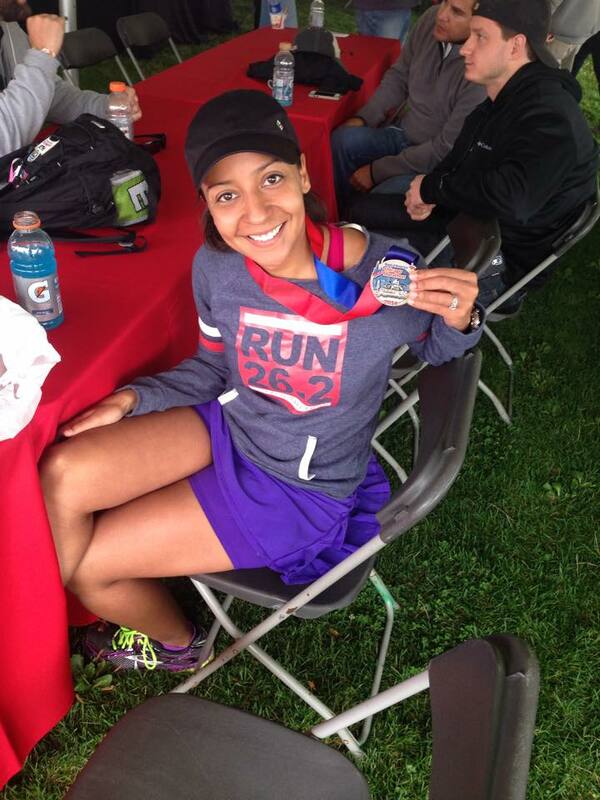 I knew that 26.2 miles wasn't going to cut it if I didn't step up my game. So after signing up, I found Brandon Running Association (BRA). A few "runners" from my new running group shared Hal Higdon's site where I could find more thorough training plans to get us to 26.2. So off I was to find us a plan. I knew I needed help if I was going to become a better runner and improve my time next go around. I found a coach through BRA and he helped me get to The Bank of America Chicago Marathon healthy and at my best. I had a goal to finish in 4hrs and 30min. Although I wasted 5 minutes in line at a porta potty around mile 4 (I still cringe about this every time I think about this experience), I finished in 4:30:33. I did it. I met my goal and that is ONLY because I had the full support of my new husband (we tied the knot 5 months after MCM), BRA and my new running coach. As you can probably gather, running has brought some pretty amazing memories for me. I've run countless miles with BRA friends (who I miss SO much now that I'm in Dallas! ), with Brad, with our dogs and solo. For a long time I struggled to believe that I could actually achieve something measurable and running has proved to me time and time again that you can do anything you set your mind to. Running has also made me understand what true commitment is. "True commitment takes effort and sacrifice" ...thank you Greys Anatomy. I came back from Chicago feeling accomplished. Brad and I had just spent the last year checking some pretty big items off of our list. We got married, experienced a road trip honeymoon through 3 different states, remodeled our kitchen and participated some smaller races in other Florida cities we had never visited together. We were both ready for some life changing events to happen. We took some serious time to reflect and think about our lives together and thats when we decided to start a family. We had been talking about it leading up to Chicago but the feeling of "ready" didn't really sink in until we got back. 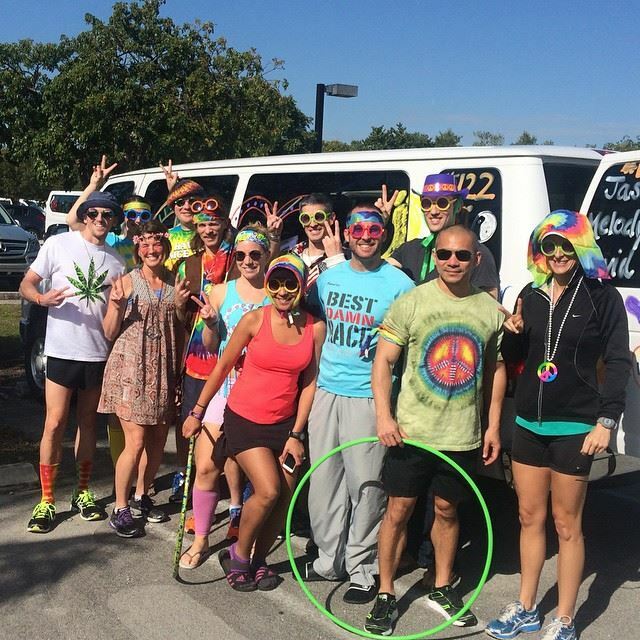 Several months after Chicago we ran Ragnar Key West and I was about 8 weeks pregnant. This was another amazing experience. When I wasn't eating everything in sight and sleeping in a moving van, I was running and I had the time of my life. I got to know a few BRA frunners on a whole new level and I got to run in some pretty epic conditions. I remember my first "leg" being at 4pm with massive Miami heat. My second leg around 3am over a bridge very close to the keys (half asleep?). And my last leg around 10am on little sleep trying to beat the girl in front of me to the exchange. Thats where it ended. In the Keys I left all of my running happiness. I went on to run several more miles throughout my pregnancy but it just wasn't the same. I was slow, I was sluggish and close to the end I was large. Nothing fit. I produced more sweat than I ever knew was possible. I was so uncomfortable. I traded in my running shoes for a yoga mat. After Jo was born, it was hectic. We sold our house and moved to grandma's house when she was 4 weeks old. We moved from grandma's to Texas when she was 9 weeks. Then we both spent another 4 weeks unpacking, adjusting to the 40 degree days and celebrating the holidays. I ran a few times but always put pressure on myself to be faster. I wanted to run the times I did the year before I was pregnant. I still had a bit of baby weight so my running even felt sluggish. I just couldn't get in the right mind set. Then Jo got a few colds and a running nose which meant no one was sleeping in our house (and no one was running either). Jo's sickness started to level off and within the last 8 weeks I made a decision to change how I felt about the one thing I used to love so much. Brad and I signed up for a few local 5ks. We started getting out together with Jo and the stroller. We started having fun again with our running. I bought a new watch, I bought some fancy socks... anything to get me out of the rut I felt like I was in. I also got a coach! I'll tell you guys about her and our ultimate goal to get me to another marathon before baby #2. 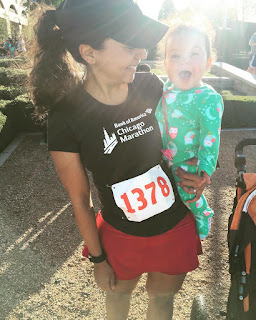 This time around, the running is not about the PR or the fancy big races in big cities (because that is just far more complicated with a baby). This time its about feeling good. It's about being the best person I can be (wife, mama, runner, project manager... you name it). It's about committing and feeling accomplished in all areas of my life. It's about being proud of myself for the effort. It's about setting a good example for my daughter - making her proud of me. It's about putting in the work and adjusting expectations when life happens. It's about giving myself grace. 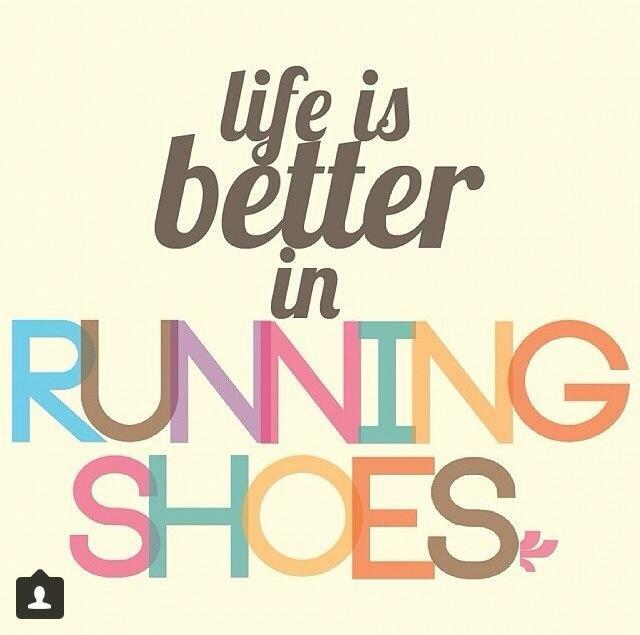 But above all, its about getting back to just enjoying the run. Hi Stephanie! Great post. We all have our stories about when running was our life, and then figuring out how to make it 'part of' our lives. Yours is particularly inspiring when you add in the work and baby! Glad you've found a local coach! The best way to run is to focus on feeling good and making progress little by little. Effort over times on your watch.